The terrorist group had attacked Government Girls Secondary School Dapchi, Monday evening. In a separate press release, the leading opposition party said they have authentic information that the girls have not been rescued,” said the PDP, insisting: “as we speak, reports say about 94 students are still missing.”The party condemned the Federal Government’s handling of national challenges, saying: “Nigeria, today, is at the crossroads. Meanwhile, Ekiti State Governor Ayodele Fayose is advised the Federal Government to stop “lying concerning the fight against Boko Haram insurgents because it has now become the tradition that whenever the government boasts of defeating the insurgents, greater havoc is wreaked on the country.”He expressed regret that despite repeated claims by the Federal Government that it had “technically” and “completely defeated” Boko Haram, the sect still staged the abduction of 94 students in one day. In a statement by his spokesman, Lere Olayinka, in Ado Ekiti yesterday, Fayose said his heart “goes out to those 46 students that are yet to be found,” urging the Federal and Yobe State Government to do “all within their powers” to rescue the girls. A fresh report by TI, ranked Nigeria 148th out of 180 countries on its Corruption Perception Index (CPI). Nigeria was rated 136th in 2017. “Transparency International has placed a question mark on the president’s claim to integrity. The fact is that President Buhari is presiding over the worst form of corruption in the history of Nigeria. 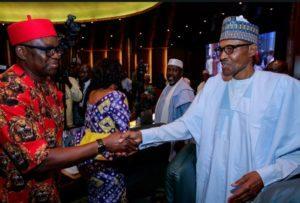 And the good thing is that despite their propaganda, they have not been able to hide the rot in their government from the eagle eyes of international organizations like Transparency International,” said Fayose.